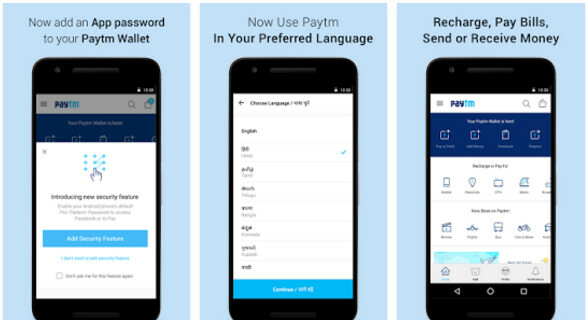 PayTM vs MobiKwik : Which mobile wallet app is better? The mobile wallet apps have become popular and important all of the sudden. They are allowing business to receive money online despite the demonetization of the widely used notes. ATMs are out of cash but you can still buy stuff offline in a local shop, thanks to the wallet apps. After the announcement of the ban on 500 and 1000 Rupees note, several digital payment companies have been set up to take advantage of the available opportunity. To avoid security issues and poor service, you should consider using the popular wallet apps to receive or send cash. PayTM and MobiKwik widely used apps to transfer money online. In case you’re new to mobile wallets, you may be in two states of minds because both these applications are popular. Here, we have compared the features of MobiKwik and PayTM so that you can figure out which application is suitable for you. According to the Google Play Store, Mobikwik app has registered 10 to 50 million users. PayTM has 50 to 100 Mn users. The Mobikwik app has a rating of 4.2 and the PayTM application has a better rating of 4.4. PayTM seems to be more popular among the iPhone users as 3000+ people have given 4+ rating to the application. Apart from allowing users to recharge their phone numbers, the PayTM app allows users to buy or sell products online. MobiKwik is a wallet only application. It lets you recharge numbers and send/receive money online. When a company is in growing phase, it tries to gather as many users as it can in a short time. To do so, the investment is used to provide hefty discounts to customers. Mobikwik app is trying to catch up with PayTM. It introduces new cash back offers every day or week. PayTM has a large user base. A few years back when the company had 5 to 10 million users, the company employed a similar strategy as Mobikwik. Have cash and don’t want to visit a bank to deposit it? MobiKwik provides cash pick up service through which you can go cashless within half an hour. Once you opt for cash pick-up service, a MobiKwik executive will visit your premises to collect cash. You’ll have to be ready with the cash. After the executive collects money and verifies its authenticity, you MobiKwik wallet balance will be updated. PayTm doesn’t provide the money pick up facility. Mobikwik and PayTm allow users to receive payments by scanning QR code. They also let you transfer cash online to a user with his/her phone number. Because of these two features, they are suitable for business use. 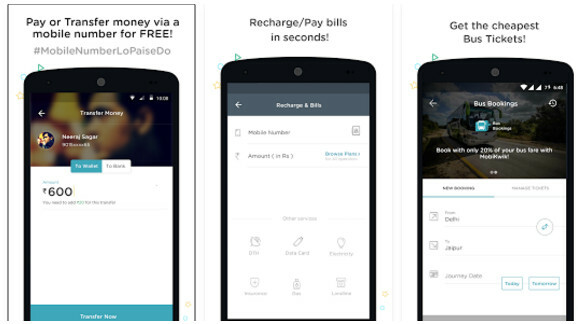 PayTM or MobiKwik: Which app should you use? Frankly speaking, I haven’t faced any issues with the two apps. MobiKwik has evolved from an app with a bad interface to a brilliant application with a great UI. PayTM has a massive user base. Most local shops nearby me accept payment through it. If a merchant is accepting cash through PayTM, you can’t force him/her to switch to MobiKwik. The same thing applies to MobiKwik. In the present scenario, you should install both these applications along with BHIM.